Circle Island Spectacular – Get a bird’s eye view of Pearl Harbor and the bookends of WWII, the Arizona Memorial and the Battleship Missouri. 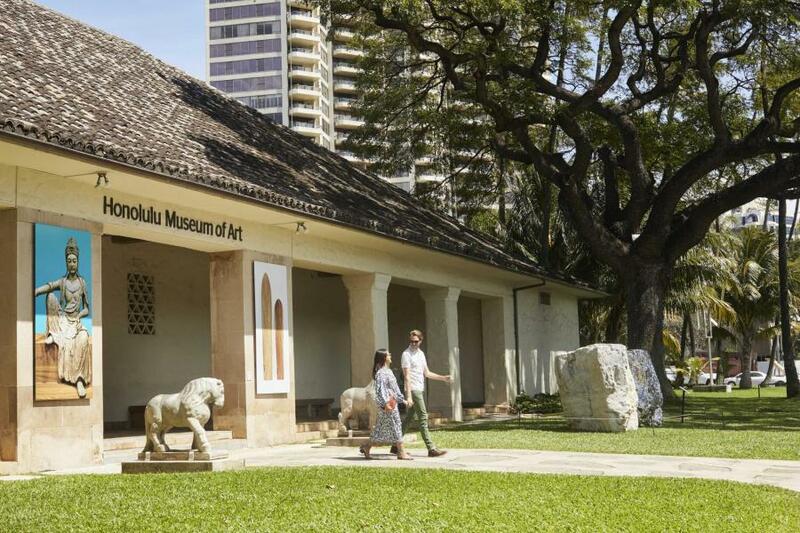 You’ll see historic Honolulu harbor, bustling Aloha Tower Marketplace and downtown Honolulu, as well as Punchbowl, the National Cemetery of the Pacific. 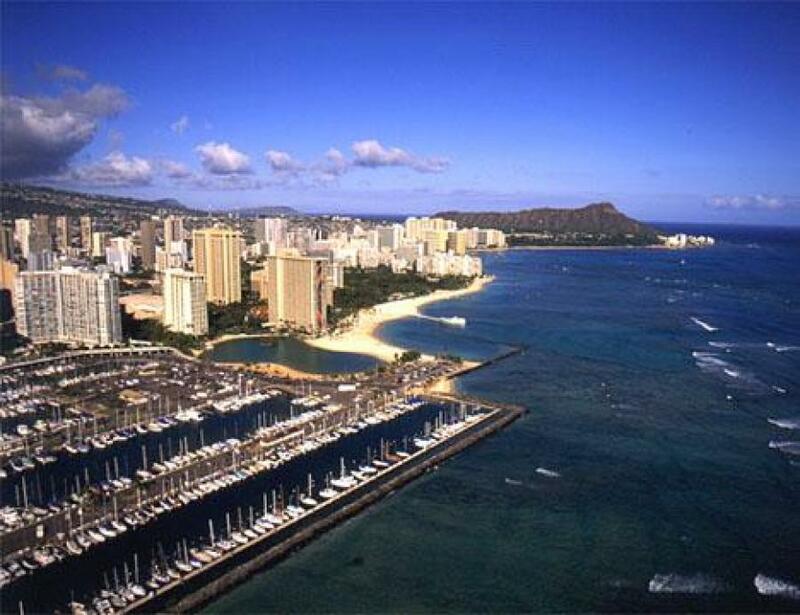 The tour continues above Ala Moana Beach Park, Waikiki Beach and Diamond Head Crater. Then it’s out to pristine Hanauma Bay, inviting Sandy Beach and Makapuu Point and Lighthouse. You’ll see the gorgeous coral formations of Kaneohe Bay, distinctive Chinaman’s Hat and “Jurassic Park” valley. The highlight of the tour is Sacred Falls, a shear, thousand foot cascade. Next you’ll fly over the Polynesian Cultural Center, lovely Turtle Bay and world renowned surfing spots on the storied North Shore. You’ll also fly over Kolekole Pass, the route Japanese warplanes flew on their date with infamy in 1941. 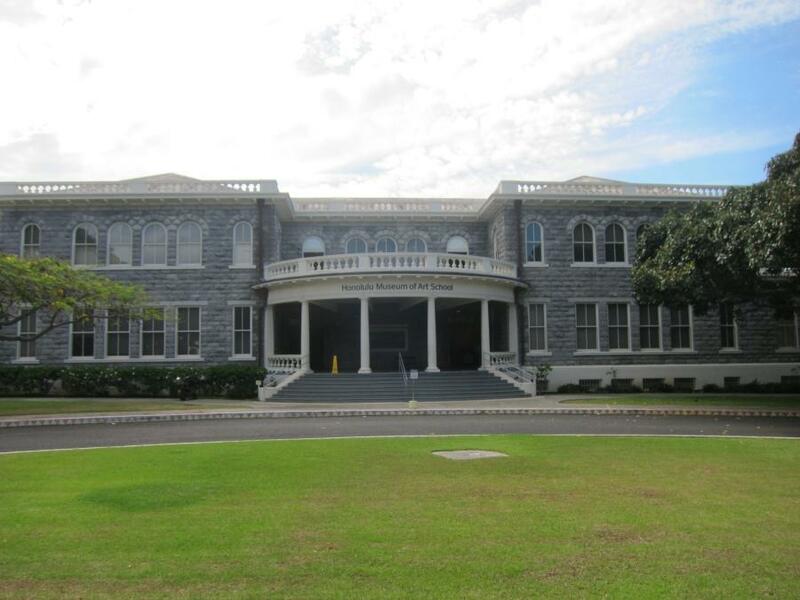 No other tour in Hawaii offers you this combination of beauty and history. This combo package is for visitors staying in the Ko Olina area, which is about 20 miles from Waikiki. 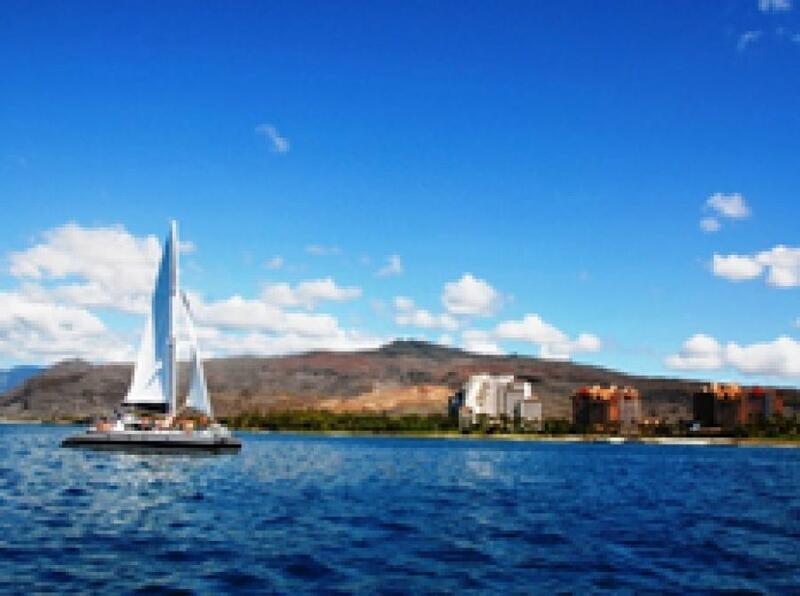 If you’re staying in Waikiki and would still like to do these tours you will need to provide your own transportation. 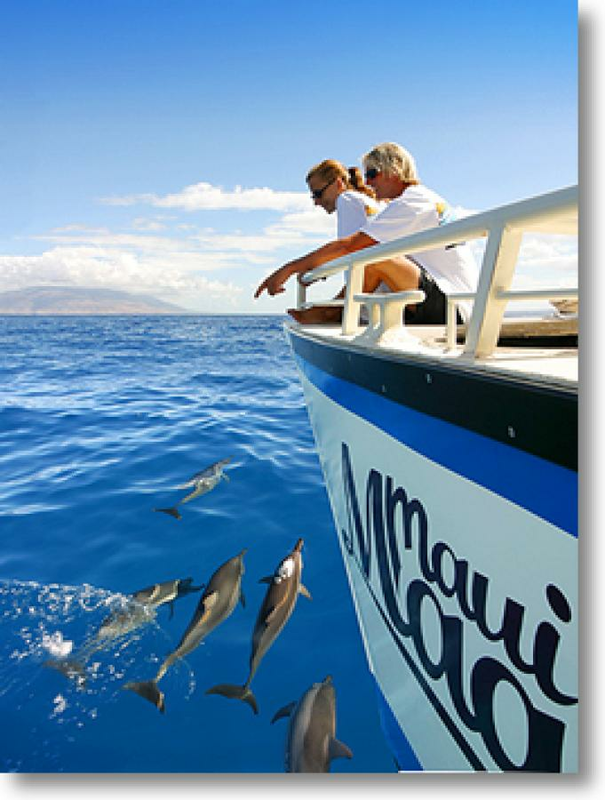 Catamaran Sail & Snorkel - Our catamaran cruise also provides you with a chance to see dolphins up close, but you’ll stay aboard rather than swim with the creatures. The catamaran snorkel adventure tour is more relaxed than the dolphin encounter, but you’ll still have ample opportunity to see gorgeous coral reefs and the colorful fish that inhabit the area. 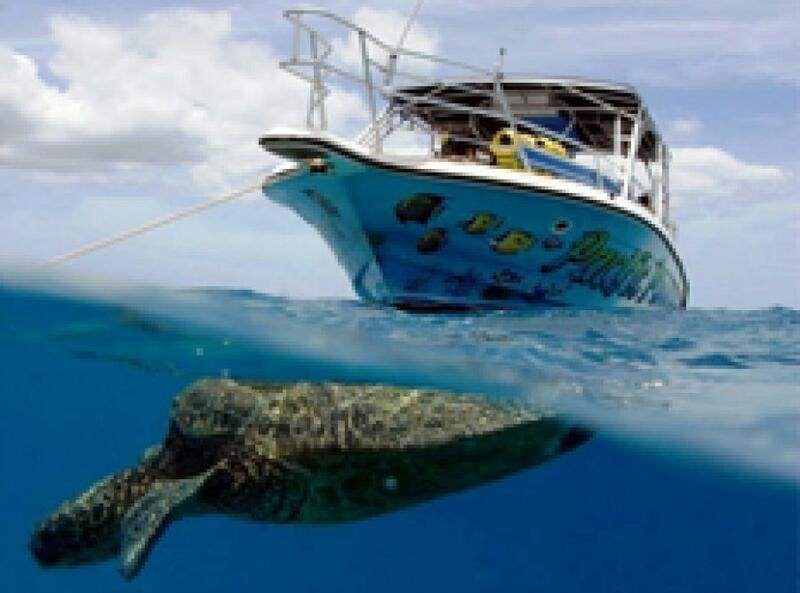 After seeing the dolphins, you’ll visit two snorkel spots including “Turtle Town”, a natural turtle cleaning station. You'll watch the ever friendly green sea turtles gather to get their shells and skin cleaned by algae-eating reef fish. During the winter months, you may also be treated to the sight of humpback whales, as well as a variety of rays and Hawaiian monk seals. Tour features complimentary hot drinks and muffins for our early morning tour, and hot and cold drinks and snacks for our mid-day tour. Lunch is served at the marina following your tour. Choice of a Hawaiian-style pulled pork, teriyaki chicken sandwich or a veggie burger, as well as fruit salad, chips, and hot and cold drinks. Bottled water is provided onboard the boat.